Hull FC have signed Hull KR skipper Ben Galea on a one-year deal. The 34-year-old announced on Saturday that he had changed his mind about retiring at the end of the season. Forward Galea previously worked with Black & Whites coach Peter Gentle during his time at Wests Tigers. 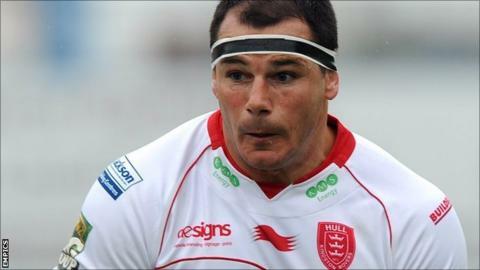 He told the club website: "I know all about the club from the rivalry with Hull KR. I've been involved in big derby games and there is nothing like that atmosphere at the KC Stadium." The Australian made his final appearance, his 112th, for the Robins in Saturday's high-scoring defeat by London Broncos. He is the second player to commit to Hull FC this week, after Salford half-back Daniel Holdsworth agreed a three-year deal.